Statement: The above specifications may be changed, please take all as Artisman factory-set standard. 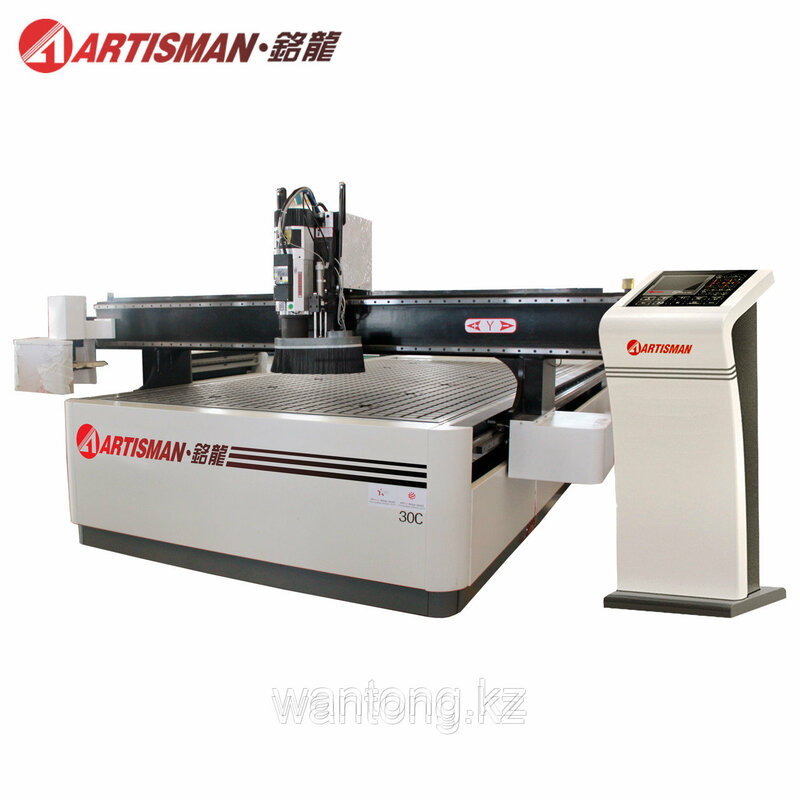 SI5 series machine is the most flexible machine of Artisman. It is mainly designed for high-speed cutting in such areas: wood industry, plastic industry and non-ferrous metal cutting areas in which industry the machine are all widely used. It is easy configure to meet the needs of most applications. The rigid all-steel structure design and space-saving mobile gantry design turn S7 series into a strong business level machine which mainly used to do the heavy-duty CNC numerical control cutting. With the largest table size and spindle configuration in the industry, S7 series machine is the ideal choice under the increasingly competitive manufacturing environment. SI5 series used the patented modular design of Artisman with the 200mm height of the beam, doing all kinds of mass production of standard components, not only the gantry, columns, table, but also the vacuum table and drive table can all be customized according to users’ needs. On the one hand it can shorten the delivery time, on the other hand it can meet various needs. SI5 series is equipped with the latest Artisman VII-B, VII-C streamlined design controller and using ultra-high-power AC stepper or AC servo which can meet the users’ needs for high-power processing. • All steel structure, heavy-duty machine table and gantry beam structure, structural stability. 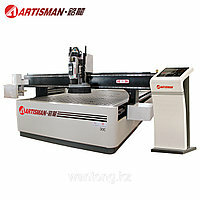 • Equipped with Artisman VII-C type CNC AC servo controller, the fastest speeds can up to 60 m / min. The excellent control technology and the powerful engine made the S7 series perform outstanding in variety industrial applications. No matter the standardized mass production or the customized production can all be ease. • The movable beam and fixed vacuum table design made both the processing and the application of SI5 series can not only process the large parts, but also the small parts. • Equipped with imported high-precision AC servo motor and planetary gear. • High-precision X-axis doubled motor drive. • X axis, Y axis and Z axis are all used by imported 25mm linear guide. • Using Artisman CAN keypad which is easy to use. • Standard automatic tool setting device. • Standard Artisman Control Center ACC7. • 512 flash memory, supporting SD card and USB. • Standard latest professional Artcut three-dimensional sculpture software. Цена: 8 740 000 Тг.